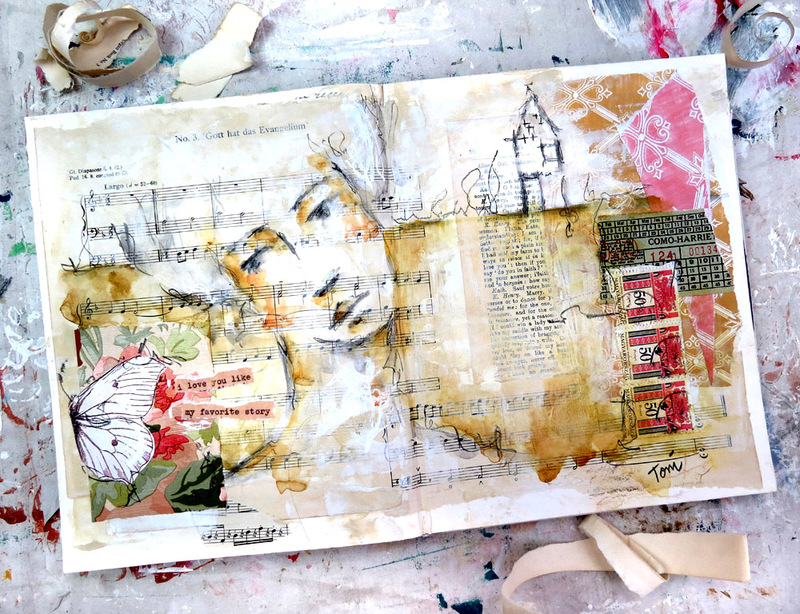 21 SECRETS is an online workshop that comes out twice a year with a diverse and talented collective of artists sharing their secrets to art journaling and mixed media art. This edition “Tell Your Story“, focuses on the many ways we can express, understand, heal, and honor our life narratives through art journaling and mixed media. We will explore our inner self by using some basic skills and techniques that involve writing with our non-dominant hand – and it is fun, and scary and a bit weird too ….but I hope you will take to it and get from it as much as I have. The 21 SECRETS Tell Your Story early bird sale is on NOW !!! Be quick it ends at 11.59pm Friday September 29th (PST USA) – that’s around 5pm on the 30th for us Aussies! You must enter the coupon code: STORY to receive your discount of $10. You can find out all the information and details by clicking below. And don’t leave yet because guess what else!?!?! I get to give away a free spot in this course!! 2. 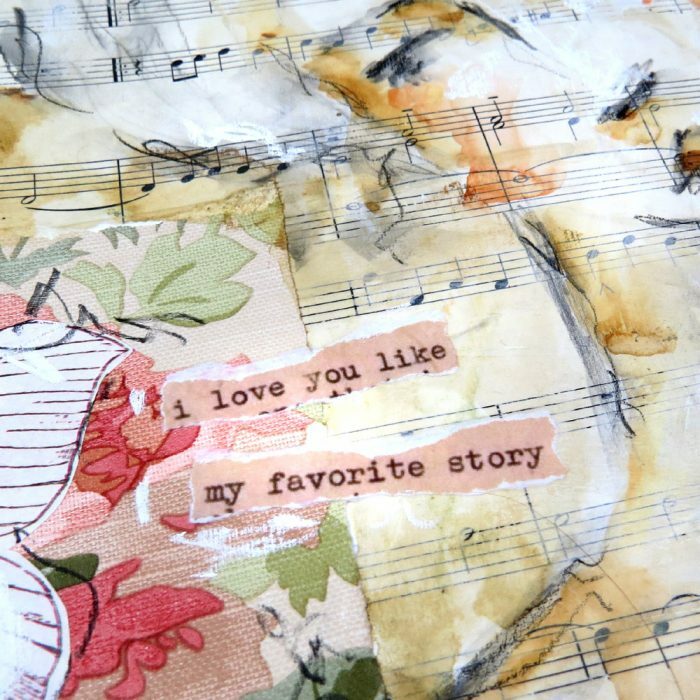 Leave a comment below letting me know why you love art journaling! I will announce the winner on September 30th (AEST). *** if you join up and win the giveaway you will be reimbursed for your spot! I am new to art journaling. I have embarked on a letting go of grief after the past year of ickiness and needing to find myself adventure. This course will help and the reason that I have already signed up!!! I love art journaling because I often find out what I’m feeling, knowing & processing as I do it and afterwards as I reflect on it. I love art journaling as it’s a safe place to create just for myself with no expectations on the outcome. Love art journaling because I can set my mind free and just create!! This course looks like something that would really help me in my art journey. I’ve not done very much art journaling myself as I can never think of what to write, or how to express myself both visually & in words. I would really love to win a place, it looks wonderful! Hi Toni! I shared this page on FB.Thanks so much for the opportunity to win the class. I love art journaling because it allows me to process all the things that make me who I am and who I grow into a little more every day. However, if I am fortunate enough to win the spot, I would love to give it to my sister as a gift. She’s never taken a class and she’s a starving artist. I know she would be grateful and thrilled to be in 21 Secrets! Thanks again! Thanks so very much Toni for this wonderful opportunity, the class looks so well put together with an amazing variety of teachers and techniques. I’ve been working this year on coming out of my shell…too many years as a graphic artist attached to a computer. Mixed media art and journaling has been the best thing I have done for myself in years. Hi, Toni! Thank you for this chance! I admire your paintings a while now… you have inspired me to try something like them… I love art journaling because of the intuitive kind of work, which I have to learn a lot… therefore 21 secrets would be perfect! On fb I´m “Susu Ko”, shared you! I love art journaling as it is very relaxing and therapeutic. I love this way of recording a part of me. I have never done art journaling before; however, if I could do it even half as good as you do, I would do it daily! Art journaling is something I do just for me. No fear to experiment or “fail”. I love doing my journal. I love art journaling because it is so freeing, relaxing and a great outlet for ideas, stresses and creativity. There are no rules and there is a great community of journalers to share with! Congrats Toni…art journaling gives me the freedom of expression to do the art that I want to do, thanks for the chance! I shared on facebook. Oh this class sounds wonderful. I love to art journal because it is my chance to do my thing instead of trying to be like someone else. My journal is where I play and experiment and even though my art may not be ready for a frame or a gallery, I feel it is the real meat and bones of who I am more authentically. Unpolished, yet exquisite! This class sounds like a dream! Thank you for the opportunity to win a spot! Art journaling helps me express my feelings, my thoughts, emotions and ideas. Thank you for an opportunity to win. I creative outlet for the good and the rough things in my life. Being able to hide my thought under a layer of paint is often quite therapeutic. As well as I get to play with my stash of lovely supplies. Art journaling is the way my inner me speaks. I’ve always thought of my art journals as my ‘diaries’ of sorts. i put so many of my own thoughts and often my pages reflect whats already going on in my head and heart at that time. I love the thought of extending this further and possibly doing a story journal. this would be good to do. 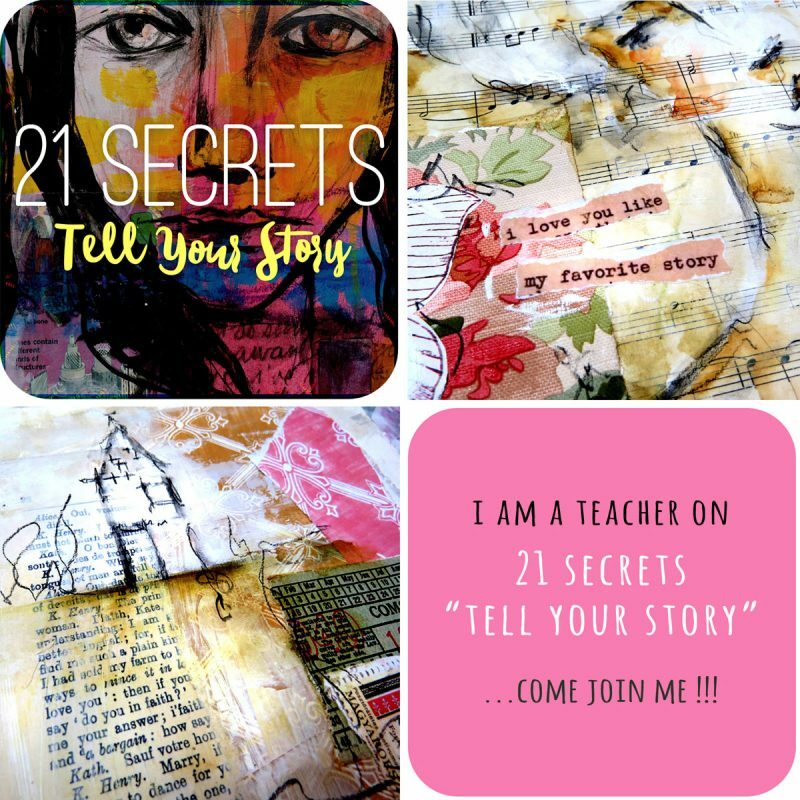 I can’t think of a better way to spend the cold blustery days that are coming here in Colorado…..a hot cup of tea….my art room….and 21 secrets to help me tell my story! It gives me great joy to do something artistic. I never thought I was any good at it, but I just love it & the more I do & challenge myself the happier I am. Winning a spot in this course would mean a lot to me. I struggle to put my words to paper most of the time. This would be just what I need. Thanks for the chance. I love the freedom of no one watching me as i express myself. I dont need to show my journal to anyone if i dont want to and it has helped me heal from a family trauma by keeping my mind on something positive. Thank you for the opportunity to win a spot in 21 secrets. Art Journaling is a place that I go to for therapy. I found it about 10 years ago and haven’t stopped since. I love your style and would absolutely be thrilled to participate in your course. I’m not very consistent with my art journaling but when I do dig in it’s usually to help me express my emotions during hard times in my life. And congrats. So exciting for you. Art journaling is very therapeutic for me. It helps me get through tough times and situations. If only I had started doing it earlier on in life, I know I would have made it through dark times much easier. Now, I’m happier and more grounded. Thank you so much for the opportunity to win. Your art is beautiful. I truly believe that art journaling has been a life saver for me. This year started full of sadness, depression and anxiety dealing with some heavy life issues and art journaling gave me a safe, creative way to channel that energy and turn my sorrow into beautiful pieces of art that I can look at and be proud of what I was able to accomplish. I’m always looking for new techniques to learn, and this class sounds incredible! Thanks for the opportunity!